There are about 70 species of cockroaches found in the United States. There are approximately 4,000 in the world. 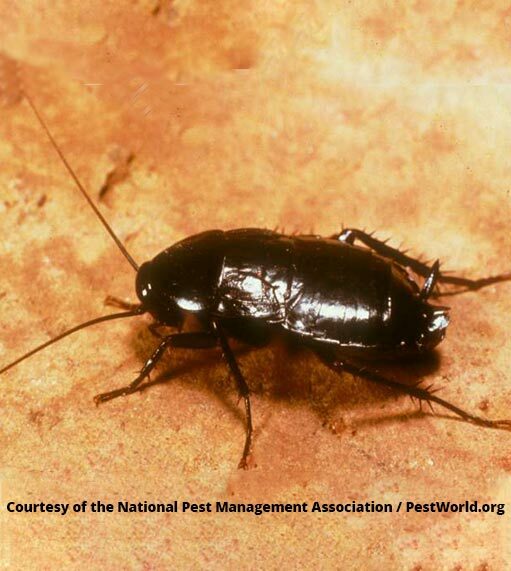 They are one of the most adaptable pests on Earth since they have been around for millions of years. Cockroaches take just 30 days to reproduce. Cockroaches can spread nearly 33 different kinds of bacteria. They can trigger asthma attacks and cause allergies. Cockroaches can be found in buildings and homes because they prefer warm environments close to food and water. The best prevention is to keep areas dry and food in storage containers. There are four species of cockroaches in the Pacific Northwest; American, Brown Banded, Oriental and the one that we deal with predominately is the German Cockroach. 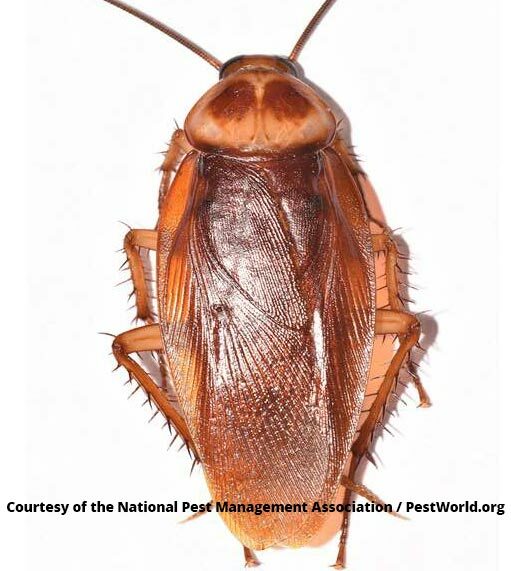 The American cockroach is the largest cockroach found in houses. The American cockroach is not native to North America, but was likely introduced via ships from Africa in the 1600s. Up to 150 offspring can be hatched by the female per year. They get their wings when they become adults. They prefer to live in warm, dark, wet areas, like sewers and basements. They often enter structures through drains and pipes. 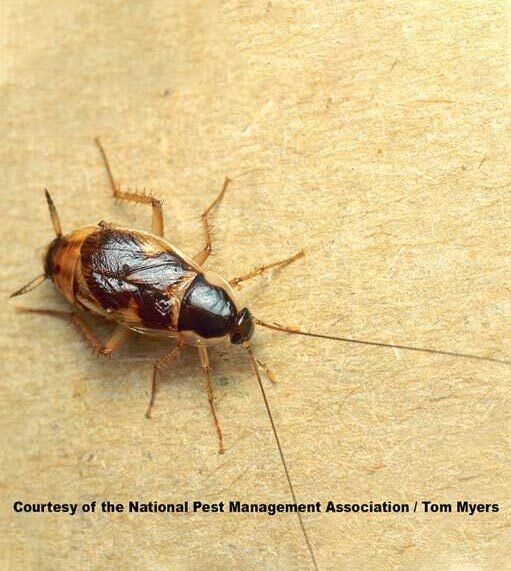 Although American cockroaches can be found in homes, they are also common in larger commercial buildings, such as restaurants, grocery stores and hospitals. Cockroaches can track bacteria and germs into our homes after they have crawled through dirty areas. Brown-banded cockroaches show a preference for drier locations and warmer areas over 80 degrees and tend to prefer higher locations than most cockroach species and are often found in upper cabinets in kitchens and bathrooms. But they can also be found throughout structures. They often hide their egg cases in or under furniture. Like the Oriental Cockroach the Brown-branded roaches have been reported to spread at least 33 kinds of bacteria, six kinds of parasitic worms and at least seven other kinds of human pathogens. Picking up germs on the spines of their legs and bodies as they crawl through decaying matter or sewage and then carry these into food or onto food surfaces. German Cockroaches are the most common cockroach in the United States but can be found all over the world. They can live about 100-200 days. They are the most prolific species, females can produce an egg capsule containing about 30 your as often as once every 4 weeks. Cockroaches are attracted to sweet and floury foods. They have also been known to eat non-organic items such as toothpaste and books! When they shed their skins they can contaminate food. Their cast off skin and waste byproducts are allergens that can trigger allergic reactions, asthma and other illnesses, especially in children. The Oriental cockroach can survive outdoors in freezing temperatures for long periods of time. The survive on all kinds of food, especially starchy foods and decaying organic matter. 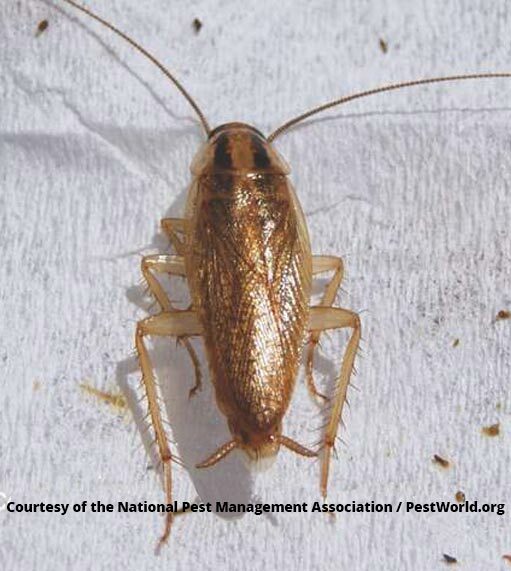 Oriental cockroaches are often found under debris, leaves, stones, firewood and in sewers. They enter structures through under sliding glass doors, door thresholds, along utility pipes and through floor drains. Once they get indoors, they will find harborage in basements and crawl spaces. Oriental cockroaches’ habit of feeding on filth means that they are likely to pick up germs on the spines of their legs and bodies as they crawl through sewage and decaying matter. They then carry these germs into food or onto food surfaces. Cockroaches like Oriental roaches have been reported to spread at least 33 kinds of bacteria, six kinds of parasitic worms and at least seven other kinds of human pathogens.